Cinematographer turned filmmaker Rajeev Ravi made heads turn with his very first Malayalam film Annayum Rasoolum (2013). Though the film did not receive uniform praise from everyone, with many people finding it a little too indulgent and too slow for their comfort, it was nice to see the film doing reasonably well commercially as well. An achievement these days as it’s not often that you see films made for creative satisfaction also finding favour with the audience. When his second film Njan Steve Lopez was announced, it made for interesting news. To start with the title is interesting and doesn’t really give out any hints about the film. The film also launches Farhaan Faasil, son of veteran filmmaker Fazil and younger brother of popular actor Fahadh Faasil along with Ahaana Krishna, daughter of popular Malayalam and Tamil film and T.V actor-Krishna Kumar. Moreover this marks the second production venture of “Collective Phase One”, a collaborative production house that has brought together industry professionals like Resul Pookutty, Rajeev Ravi, Madhu Neelakandan, Sunil Babu and B.AjithKumar with the common goal of supporting independent cinema. With their previous venture “I.D” still doing the festival rounds, naturally one was curious to know how Njan Steve Lopez (NSL from hereon) would turn out. The initial promos and the song that was unveiled suggested a typical film on youngsters and their lives, not something which thrilled me to say the least. But I was hoping that the film actually did not stop at that and had a lot more. And yes initial reports pouring in seemed to confirm that my suspicions were right indeed. NSL is based in Thiruvananthapuram and shot mainly on actual locations, just as Annayum Rasoolum was based in Kochi. As the film starts we are introduced to Steve Lopez (Farhaan Faasil), a college student who cares more about booze sessions with his friends and WhatsApp chats, more than family and college. He is in love with Anjali (Ahaana Krishna), his neighbour and childhood friend, but unable to express his love clearly. Steve and Anjali live in a colony inhabited by the families of policemen, with Steve’s dad George Lopez (Alancier) being the Deputy Superintendent of Police in town. Just when life seems to be getting interesting for Steve, what with Anjali slowly reciprocating his feelings, he is rudely shaken out of his cocoon like existence when he is witness to a gruesome attack on an individual in broad daylight. With no one bothering to come forward to help the victim, Steve rushes the man to a hospital and even admits to the media that he is happy to help in identifying the men who carried out the attack. While he thinks he is doing what a citizen should be doing and will be supported in his actions by his family, especially by his father, the reality seems to be totally different. His father is upset by Steve’s actions and asks him to stay away from the issue. He sees other policemen also advising him the same, which disturbs him even more and he sets out to unravel the truth, only to find his life getting completely tops- turvy. What happens from thereon is what the rest of the film is all about as we see Steve making a journey which is also about self-discovery in a way. The film does take some time to hook us as initially there’s a false feeling of NSL looking at just the typical goings on in the life of a youth who is a little self-centred of sorts. We see Steve as someone who hardly shares a bond with any of his family members, except his uncle who is the rebel in the family. Eyeing the neighbourhood aunty, wasting his time hanging around drinking with his buddies and being totally care free about his future, it is hard to feel for Steve’s character initially. Ahaana on the other hand seems to be very much in control of herself and knows her priorities quite well. The film makes us question ourselves also in a way as what happens in Steve’s life can happen to any of us as well. We realize that the system has a certain way of working and come what may certain things will just remain the same and will never change. In many ways this is a true coming of age film as Steve goes on to do things that he would probably never ever have imagined before in his life. The screenplay (Rajeev Ravi, Santhosh Echikkanam and Geethu Mohandas) ensures that the film manages to build up tension gradually. It’s also a look at the ‘system’ from the POV of youngsters and we realize that early on itself through an interesting use of animation in the opening credits to the strains of “Oorake Kalapila” (written by Anvar Ali, Anoop Mohandas and Rahul Madhusudan and performed by Anvar Ali, Anoop Mohandas, Ramesh Ram, Vishni Dethan, Ben Sam Jones). Talking of the film’s music, the songs are all effective and fit in very well with the film and the situations that they feature in. While “Theruvukal” (lyrics by Anvar Ali, composed by Shahabaz Aman and sung by Siddharth Menon) is a breezy romantic number that justice to Steve’s romantic mood, “Muthu Penne” is a lovely sung by Jassie Gift using traditional lyrics and also well shot. A Rajeev Ravi film can be counted upon for its excellent cinematography irrespective of who helms the camera and here again Sudeesh Nair aka Pappu does justice to his mentor (he had also assisted Rajeev Ravi on Liar’s Dice), especially with the wonderful night shots, both exterior and interior. Though the film has a leisurely pace, at 116 minutes the tale unfolds in just about the right enough duration. NSL hardly has any known names among its cast, with the most popular actor probably being Vinayakan who plays Pratapan, the brother of the person who is rushed to the hospital by Steve. But the use of a largely unknown cast adds to the realistic element. All the actors do justice to their parts and the ones who leave a mark include Alancier as Steve’s father, George, James Elia as Inspector Mohanan, Anil Nedumangad as Freddy, Steve’s uncle and Sujith Shankar as Hari. Ahaana Krishna as Anjali does not have much to do as the film mainly revolves around Steve but nevertheless with her expressive eyes and an easy going charm she does leave a mark. 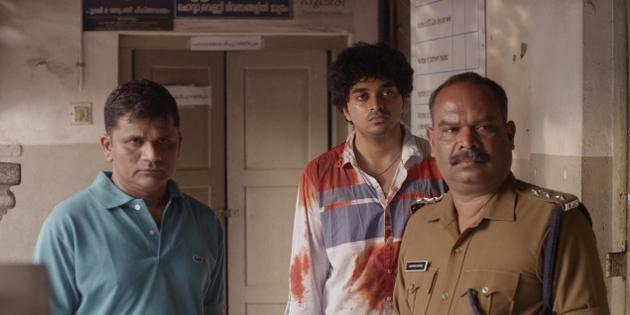 Farhaan Faasil looks a little raw and vulnerable at places, considering this is his first film. But then this works in his favour as the character of Steve Lopez anyways comes across as someone vulnerable and a youngster who is unsure of himself for a long time, something that Farhaan is able to project reasonably well. Rajeev Ravi has also smartly ensured that the dialogues are minimal and there is no element of histrionics required which could probably put Farhaan ill at ease. There are quite a lot of moments that stand out in the film for me. Steve and Hari seem to share a strange bond, though they belong to different strata of the society and are totally unrelated in every sense. Cementing the bond further is the fact that the woman in their respective lives is called Anjali and their mobile ringtones are a testimony to the fact as well (while Steve’s mobile ring tone is “Anjali Anjali” from K.Balachander’s Duet, Hari’s mobile ring tone is “Anjali, Anjali, Anjali” from Mani Ratnam’s Anjali). The sudden transformation of Inspector Mohanan from a caring well-wisher to Steve to that of a ruthless cop when Steve confronts him to know Hari’s whereabouts is again a wonderful moment in the film. Nothing can sum up the film better than the scene in the bar in the latter half of the film when the veteran journalist tells Steve that he has seen a lot of people disappear while in search for the truth and that he should be careful himself. Such moments make you remember the film long after your show is over. Eventually NSL works reasonably well as a dark coming of age film with a clear social conscience of its own. This may not work for just about everyone but Rajeev Ravi seems to be sure about the kind of films he wants to make. Now it is time for the discerning viewer to watch it and decide if it works for him/her or not. 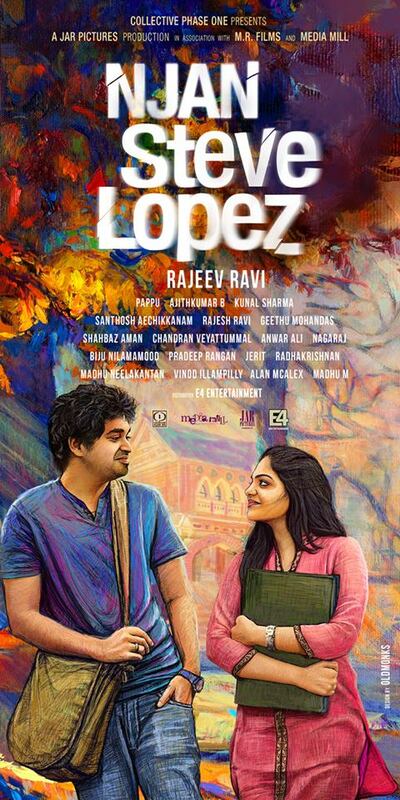 Note- Njan Steve Lopez which released in Kerala on August 8th has gone on to release in select screens across India on 15th India and is playing with English subtitles (outside Kerala). The film has its moments though I feel it could have been a more engaging film. It also shows very well that as we grow up how we slowly lose our innocence and become more vulnerable and get disgusted when we see the more ugly facets of life.